Our Christian Synagogue Shabbat service is quite unique in two major ways. First, we are boldly and clearly NOT Messianic in the contemporary sense. We are not in any way seeking conversion of Jews to Christianity, what Messianic congregations today would call Jewish fulfillment. 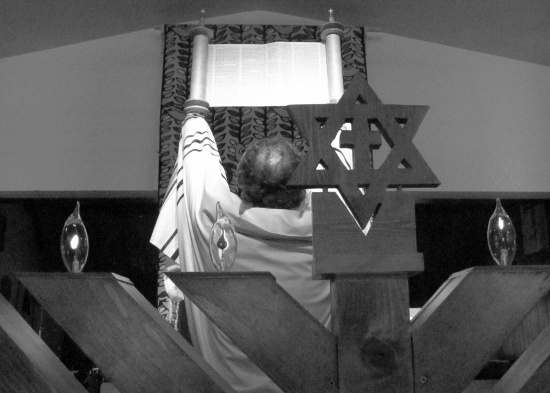 As a pastor in the Missouri Synod, my experience of Messianic synagogue congregations has been almost without exception a negative one. I believe the major reason for this is a deep fear motivated by an equally deep sense of inferiority within most Messianic worshipers. They have come to accept Jesus Christ as their true messiah, however they are not only trying to retain their Jewish perspectives and traditions, but also trying to validate themselves to the larger Jewish community – to be seen and accepted as a legitimate branch of Judaism. Scriptures refer to this group in the New Testament as Judaizers. This places them in an awkward position of (1) trying to profess the faith in Jesus Christ as the Son of God, redeemer and true messiah of Israel to all nations, and yet, (2) at the same time needing to reject large numbers of gentiles in order not to be seen by their Jewish brothers and sisters as a gentile church, congregation, or movement. Our synagogue worship here at Shepherd in the Pines is not to convert gentiles into Jews either but to empower and to equip gentiles with the needed tools and discipline for Christian life in a rapidly expanding hostile and pagan world. Furthermore, to develop a deep love and appreciation for the Lord’s Body and Blood found in, though, and under, bread and wine. The Lord’s Supper is the gentile land of promise! Over the last 2,000 years the Jewish people have received tremendous gifts of study, discipline and survival from God while awaiting His final call to them. I believe that the time of the gentiles, if not already over, is closing, and we need to be far more disciplined and equipped in the proclamation and life of scripture, so our Synagogue Christian service and worship is intended to strengthen our Christian gentile insights, gifts and values. Reference: Galatians, chapters 2 through 5. Historically, this group has been marginalized, if not persecuted, by both the house of Judah and the gentile Christian church. We believe that the time has come for them to ascend to a major leadership role, a role God has always intended for them! Messianic congregations have the tendency of wanting to reconvert these individuals back to Jewish traditions and culture. However, the majority of these individuals wish to fully retain their gentile culture and gentile perspectives of their Christian faith and at the same time somehow embrace the reality of their ancestral Jewish roots. In simple summary, our uniqueness rest in two very clear goals, (1) to equip and empower gentiles to embrace both scriptural and worship discipline in order to maintain validity in a rapidly growing pagan world, what many people refer to as post modernism, and (2), to encourage, equip and celebrate those individuals who have mixed ancestry of gentile and Jewish backgrounds. This is critically important for our time, faced with the fact that in the next few decades in America, mixed marriages within Judaism will displace the predominance of singular Jewish ancestry. As serious Christians we must address this issue, and here at Shepherd in the Pines we are doing just that! We hope that our uniqueness will not be offensive, but there is that possibility of offending some individuals and groups. At this time I would like to extend an olive branch and an apology if we have offended in any way our Jewish brothers and sisters who have not accepted Christ. We are not seeking to offend you or to convert you, but we are being faithful to what we believe. We hope that you will see that we are instilling a deep respect and admiration for Jewish values, practices and faith and thereby hoping that this will help to abate bigotry and intolerance against the Jewish people. You are welcome to join us here in Big Bear Lake, hear our MP3 podcasts, and support this quite unique Christian Synagogue Shabbat ministry and mission with your prayers and donations.